This forum is for discussing grass roots, community-based solutions to spreading music through house concerts. Please do not post here about any lists of potential house concert hosts that you or someone else may have for sale; that is a top-down strategy that comes with a set of gatekeeper problems which we are attempting to put an end to in our community. 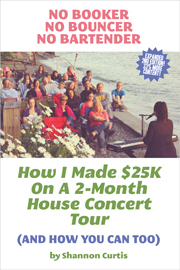 A concert at your own house?